Brookside Nails & Boutique is a sophisticated social nail salon and spa. Our menu is tailored to the comfort of our clients. At Brookside Nails, you can expect the extraordinary quality of service. Our salon features a VIP room for manicure and pedicure, massage room, private waxing rooms, skin treatment rooms, and boutique. We have taken sanitation and safety procedures to the highest level to protect our clients and staff. Enjoy a relaxing day at our salon and receive the best treatment for your mind and body. We will trim, file, & buff your nails into shape with a light 3 minute massage from your elbow to the tip of your fingers. Complete with a polish of your choice. Bring your hands back to its youthful glow. Your hands are soaked in soothing tea. Your cuticles & nails are groomed & revitalized. Includes 5 minute massage and paraffin treatment. Complete with a polish of your choice. Indulge your hands in a fruity essential oil soak. After shaping & cuticle care, we exfoliate your hands and rejuvenate it with cooling gel & paraffin wax. Complete with a 10 min orange cream massage and your favorite polish. Submerge your tired, weary feet in a warm tub of sea salt water. A scrub is applied to exfoliate dead surface skin as we groom your nails. Your cuticle is condition with cuticle oil. Complete with a 7 min massage and polish of your choice. Treat your feet with a French lavender essential oil bath. Lavender mask is used to hydrate & smooth your skin. Sea salt scrub is applied to exfoliate dead surface skin. Cuticle oil treatment applied with a 12 min massage. Complete with paraffin wax and a polish of your choice. Dip your feet in a warm chocolate essential oil foot soak. A chocolate mask and scrub is applied to exfoliate dead surface skin, leaving it smooth and revitalized. Paraffin wax included. We will massage from your knees to the tip of your toes for 12 min. Complete with a polish of your choice. Relax with this fruity sensation pedicure. Soak your feet in a warm tropical essential oil bath with fresh orange slices. Ocean sea salt scrub is applied to exfoliate dead surface skin. Soothing honey mask is applied to restore moisture. A tropical scrub is used to exfoliate your skin. A nice, long 18 min massage is incorporated with hot stones to relax your muscles & joints. This treatment completes with warm paraffin wax to help soothe joint pain & soften dry skin. Complete with a polish of your choice. Enjoy a complimentary Starbucks or Jamba Juice & get pamper in a private, quiet, & relaxing atmosphere. Choose from 5 different scented foot soak (strawberry, lemon, lavender, linen, & peach) while watching your favorite show. An application of honey scrub to exfoliate dead surface skin is used along with a cooling gel to smooth & moisturize your skin. Your muscles & joints are relaxed with a 20 min hot stone massage. Paraffin wax is included. Complete with a polish of your choice. Your hands also need caring along with your pedicure! The tropical manicure is added to the VIP pedicure for your complete pleasure. Senior and Student recieves 10% discount with proper ID. Individual lashes, also called clusters, are pieces of five to six single lash attached to make one individual piece. These pieces are then glued to your lashes to give your lashes a longer and fuller look. 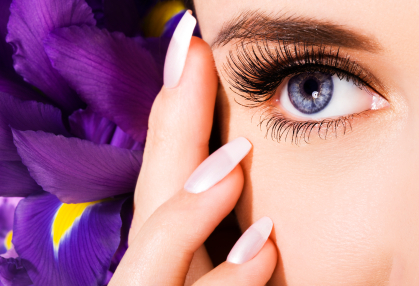 Each single strand of lashes is glued to your individual strand to extend your lash longer. Indulge yourself to one of the 4 packages. You deserve it! This 30 minute back, neck, and shoulder routine will invigorate and rejuvenate a tired body. Through the inhalation and application of our pure essential oils, this relaxation massage restores and renews. A medium to deeper pressured massage, where different forms of modalities are used for a completely tailored experience. Our signature massage includes specific stone therapy with our specialty massage oil. Hot stones heat the muscles as they are worked down the length of the body. We recommend waxing every three to four weeks only for finer and less dense growth. We can not perform waxing services on clients who are taking Accutane, Retin-A, or antibiotics, due to sensitivity these products may casue to the skin. Please allow 24 hours before exposure to the sun after your waxing session to prevent from burning or irritation. Say goodbye to cookie-cutter treatments! Dermalogica's skin treatment is 100% customized to your skin's needs with a through, zone face mapping skin analysis, making it the treatment that's different every time! Think of it as your personal routine, created especially for your skin's needs, right on the spot! Our skin treatments are fully inclusive to deliver your skin's best health, and involve a combination of professional double cleanse, exfoliation, extractions (as needed), masque, toner and skin protection. Addtional products/electrical modalities and therapies may be added to target the individual needs of your skin. Are the signs of aging becoming more prevalent on your skin? Give it a revitalizing power boots with this treatment designed to nourish, regenerate and energize skin! Potent vitamin and hydroxy acid exfoliation resurfaces and retextures skin while energizing massage techniques release tension in the facial muscles for the ultimate in skin therapy for prematurely-aging, mature or devitalized skin. Firmer, smoother, revived skin you'll love is yours with this amazing treatment. Red, itching, burning skin - calms, soothes and replenishes the most aggravated, irritated, inflamed skin. Targeting the triggers behind redness, itching and stinging, this treatment will help recover skin health for long-term relief from flare-ups. It's the end of the line for adult acne with this new powerful treatment that jump-start acne cleaing and helps prevent acne well beyond the treatment. We'll start with a through deep-cleaning, followed by professional exfoliation to remove pore-clogging, skin cells and extractions to clear current breakouts without spreading acne-causing bacteria. The application of our soothing preofessional masque system detoxifies skin while calming irritation and redness, and oil-free hydration and solar defense help hydrate and control excess surface oil while keeping skin protected. Accelerate brightening, improve skin tone, enchance skin clarity and create a fresher, healthier appearance with this effective treatment. Not enough time, not a problem! 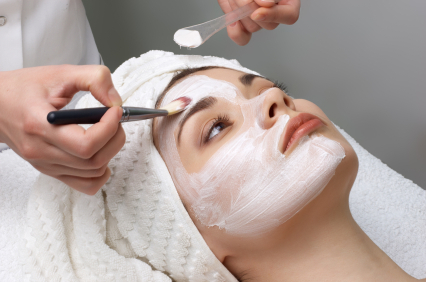 This min facial treatment is designed for a quick cleansing and exfoliating with masque and massage. Our special gentleman will receive deep pore cleansing, exfoliation, extractions if needed, customized facial masque and extensive massage to release tension in the face muscles, neck, and shoulder. Every gentleman deserves a face treatment! Brookside Nails offer a wide selection of gel colors with colors to match your toes! Brookside Nails & Boutique is the perfect place to host a celebration while getting pampered. These mani–pedi parties are suitable for any occasion—bridal showers, baby showers, birthdays, corporate events or just get–togethers with your friends, family, or coworkers! Contact us for more information. 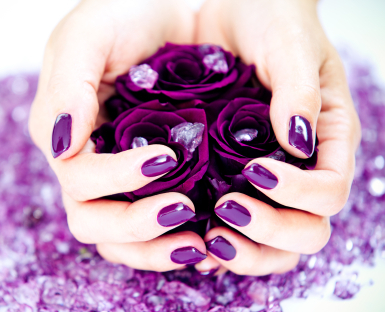 The best way to say you care and appreciate that special someone is to send them to Brookside Nails & Boutique. We will give them an experience that they will never forget.